On June 17, 1994, Constable Todd E. Baylis and his partner were conducting a walk-through of a building complex when they attempted to arrest a suspect who was wanted for drug trafficking. The suspect was found carrying a large amount of crack cocaine and a loaded handgun. The officers were in the process of chasing down the suspect when he fired back at Constable Baylis, hitting the officer in the head. 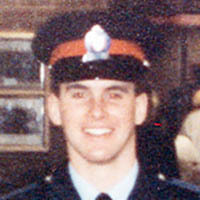 Constable Baylis died in hospital.